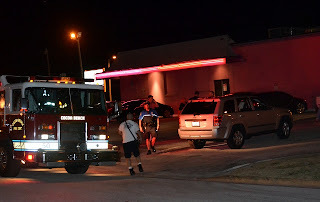 COCOA BEACH, Florida -- A pedestrian was run over at about 9 p.m. tonight near the Cheater's adult night club parking lot in Cocoa Beach, Florida. The man was underneath the vehicle when Brevard County Fire Rescue crews and Cocoa Beach Police officers arrived on scene. A trauma alert was issued and the man was then transported by ambulance across State Road A1A to the nearby Our Saviour's Catholic Church parking lot were he was airlifted by First Flight helicopter to Holmes Regional Medical Center in Melbourne, Florida.